Political Canvassing with Kids: Free Physical, Intellectual, Social, and Civic Education! Kids are better canvassers than adults, but Google only came up with two results when I looked up "canvassing with kids." Canvassing for a candidate is when you knock on doors on behalf of a political campaign to talk to potential voters about your candidate. Going door-to-door is the best way for a candidate to gain voters. Why are kids better canvassers? Potential voters would rather talk to them than adults! Kids can have fun canvassing. 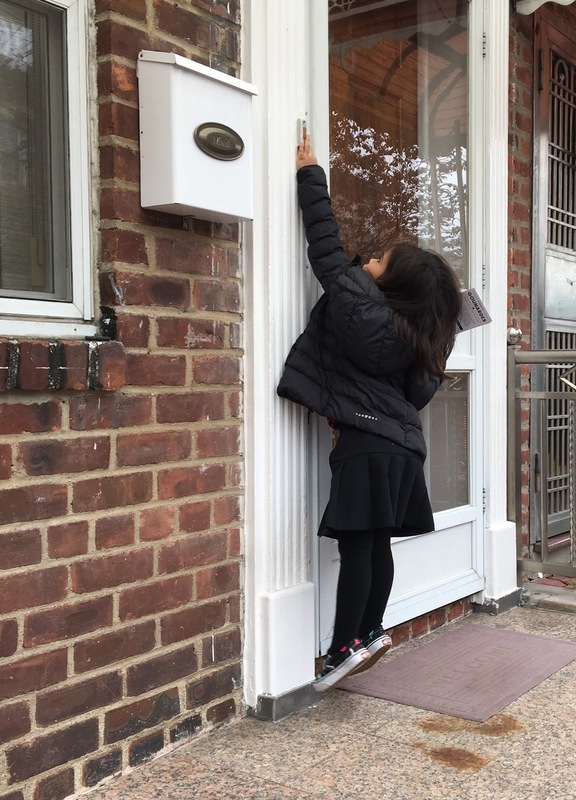 For my 5-year old kid, canvassing for New York State Senate candidate Andrew Gounardes through StreetsPAC was one big game, and my 7-year old enjoys it, too. The objective of the game is to talk to potential voters and to do that, you have to find the home, run up the steps, ring the doorbell, speak to people or leave campaign literature. You tally the homes you visited to find out you won the game no matter what. Kids enjoy the game, but there are also hidden benefits in canvassing: Family bonding, getting exercise, working as a member of a team, practicing numbers, increasing social interaction with all types of people, learning about civic engagement, and feeling connected to the political process, which many people find abstract. There is a lot of walking up lots of stairs, skipping along the sidewalks, strolling blocks, jumping to reach the buzzers. It doesn't seem like work because there's a surprise at each door. Will they be home? Will they have a dog? What will they say? My daughter was thrilled to find the next residence, open the gates, knock on the doors and figure out the best way to leave the campaign literature behind (but don't put it in the mailbox because it's illegal). Throwing it back to Halloween 2016 when my daughter dressed up as one of her heroes, the neighborhood Icee Lady. 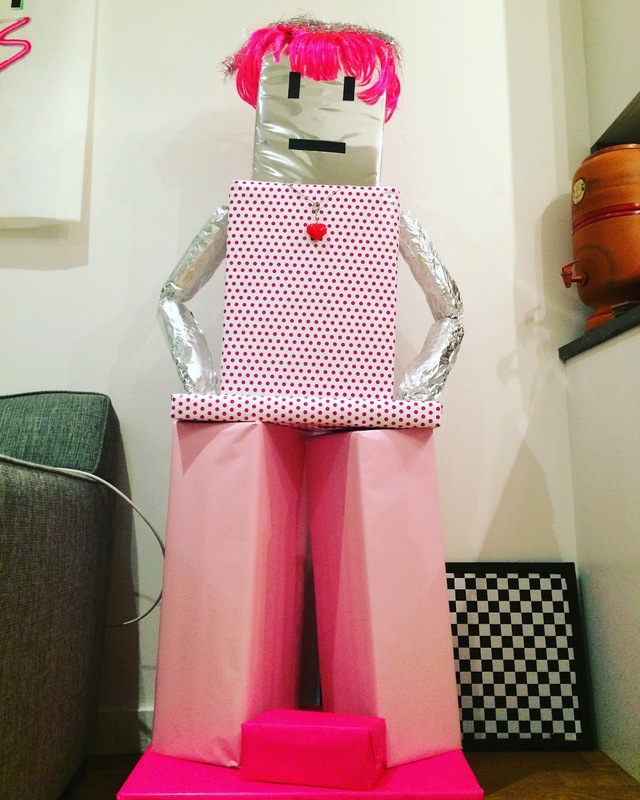 People in our Brooklyn neighborhood unexpectedly were crazy-happy to see this costume. How did we make the cart? My husband zip tied a cardboard box around a doll stroller and made the top of the box flap open. Inside, we set in another cardboard box to make an inner containter for the pretend Icees. Details are everything! We used Rapid Resizer to create the stencil pattern. After printing, I exacto'd out the letters. We used stamp pads to tap the color onto the Icee Cart. We printed out a copy of the Marino's Italian Ices sign and taped on a box of ice cream cones. 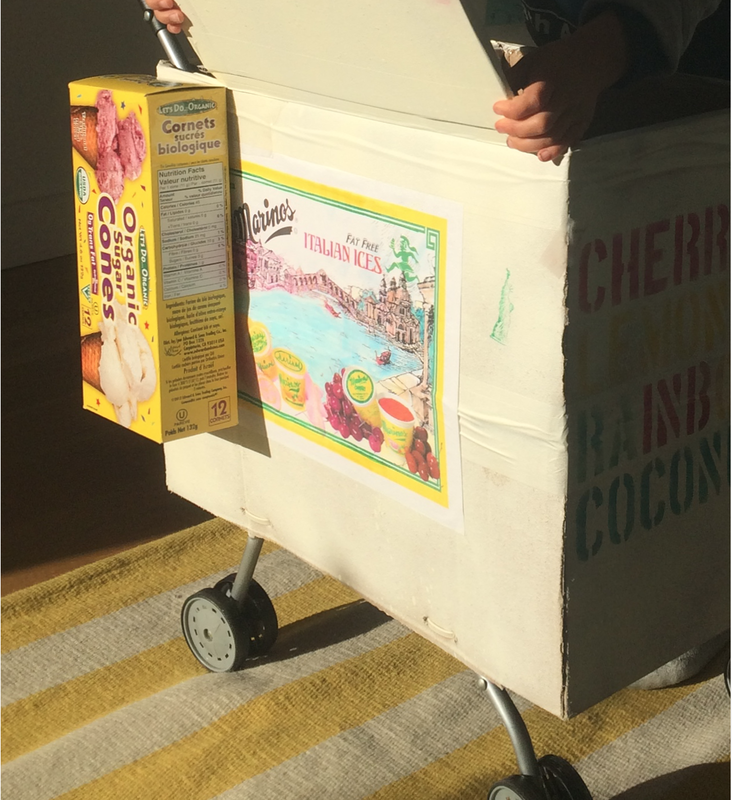 We test drove the Icee cart around the apartment. We often host small birthday parties for our young kids at home or in the park, but when things are really busy in our lives, it's a nice option to host a drop off event at a birthday party venue. It's been a crazy year, so we got help and I'm glad we did. The venues we used were both fantastic and I like when parties are educational workshops disguised as fun! This year we hosted small parties at Brooklyn Robot Foundry on Atlantic Avenue and The Tiny Scientist in Windsor Terrace. I'd recommend both locations because they both really know and cater to kids, they both have a lot of experience hosting birthday parties and they both offer STEM/STEAM learning experiences as part of their party packages. Here's a photo review of both parties. 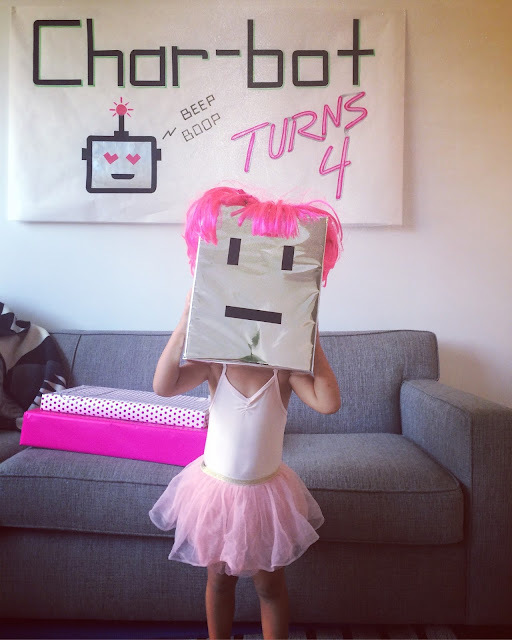 First up is my daughter's 4th birthday party at Brooklyn Robot Foundry and the theme was, of course, robots. Committed to the theme: robots!